559LF-SSPP is rated 4.8 out of 5 by 16. Rated 5 out of 5 by Inin from Good Very easy to install, it looks exactly as in photo. 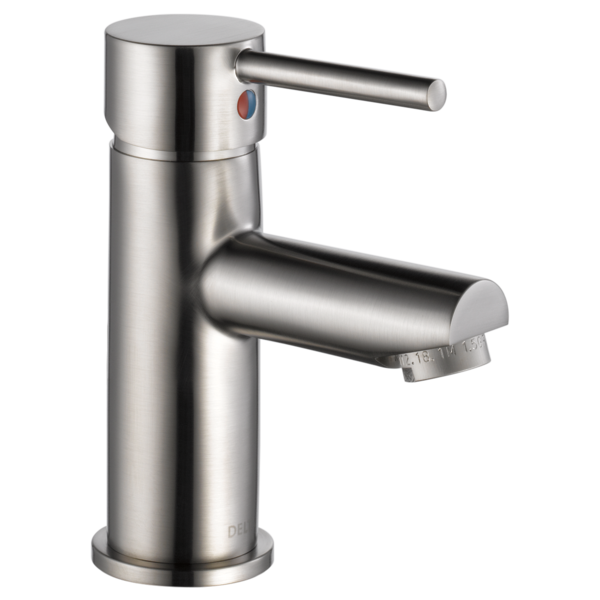 Rated 5 out of 5 by JC from Nice Faucet This is a very nice faucet. My sink area is not very spacious and the size and look were just right. My plumber commented that install was easy but loved the look and solid feel too. Rated 3 out of 5 by Trisha from looks great I love the look of this faucet, but it didn't turn out to work well in my situation. My countertop installer says that the faucet hole is in the right place and it looks like it's centered as it should be, but the water opening on the faucet is just barely is over the sink. I still recommend the faucet because it works well and is attractive, but be careful about the sizing if you want to be able to get your hands under the flow of water. 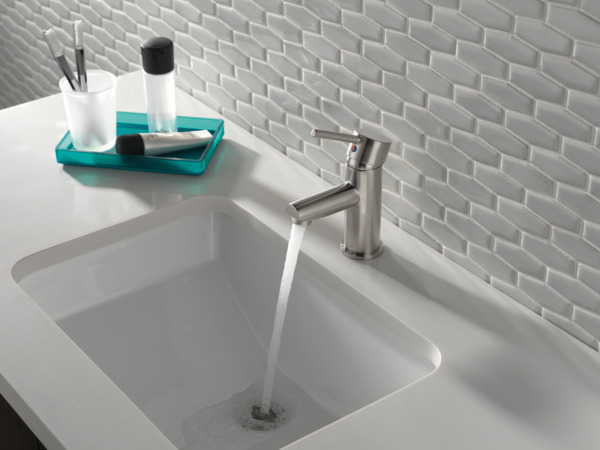 Rated 5 out of 5 by ianthomas18 from Great faucet with warranty The faucet shipped quickly and came with clear instructions and was easy to install. The lifetime warranty provides some great peace of mind for longevity and the hot/cold indicator is clear, but out of the way. Rated 5 out of 5 by Em from Delta faucet Everything fine except reach is a little short, unable to return because it was installed and tried. (used) had to go to HD to buy another Delta with longer reach. 559LF in storage will use when an old Moen conks out. Rated 5 out of 5 by Gencalman from Simple, beautiful faucet delivered promptly. What more could you ask for?!? Does this have diamond seals? re: 559lf-pp , what does pp mean ? What kind of outlet does this have? I need a non-aerating spray.